Thank you to all of you who have shared with us all these years of crossings, anchorings, laughters and wonderful experiences. Our boat trips along the mediterranean sea are magical. 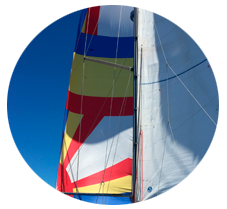 For those of you who still long for more sailing and learning and for those of you who haven’t had the possibility yet of doing so bear in mind that Spring offers us beautiful days to enjoy at sea. We are already preparing the spring and summer season. Do not stay on the ground! Contact us now and book your place on board. We offer outings of 4 hours, a day, weekend or full weeks. 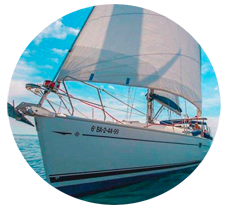 Also sailing courses for those who want to continue learning or just enjoy the sea. Contact us for your plans in summer! The weeks with 6 individual places available will be confirmed when we have a minimum of 5 crew members. Itineraries and check-in point can be changed according to your demands. You can contact us to send us your suggestions and comments, using our form or by phone at +34 617 366 362. We are happy to give you all the information you need.